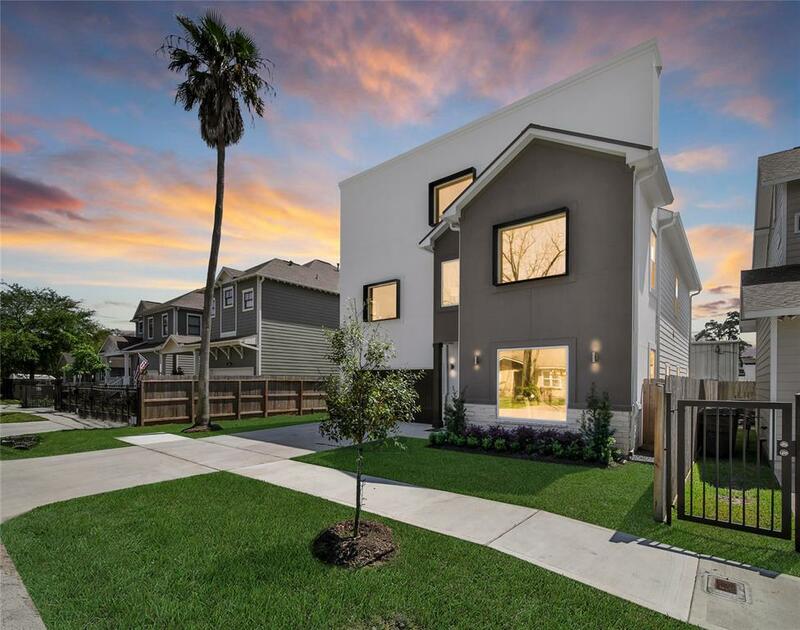 Cool and Contemporary design, located in Houston's Sunset Heights. 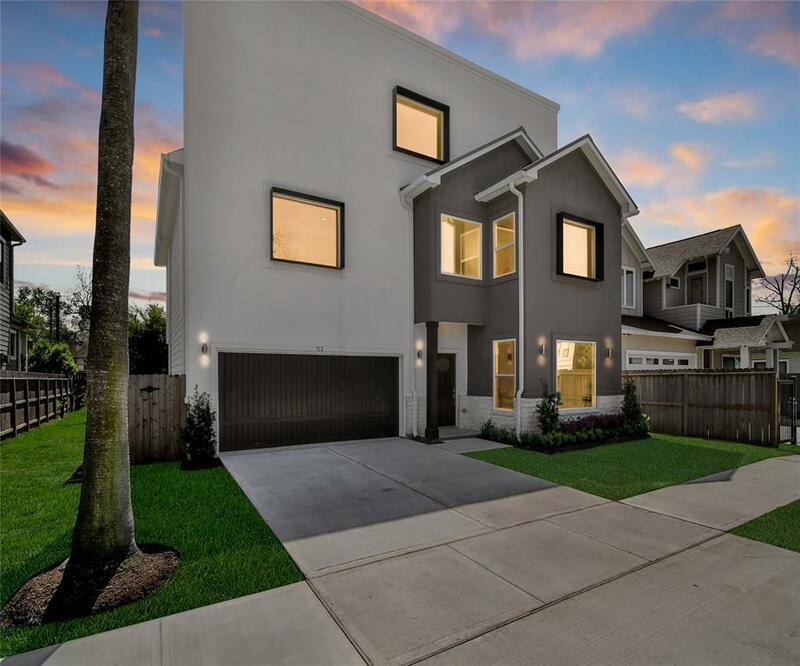 This incredibly unique stucco, stone and Hardiplank home features incredible natural light from picture windows, stunning marble tile flooring on the first floor, well equipped kitchen with custom Walnut cabinetry, soft-close drawer guides, Quartz countertops and Kitchenaid appliances. Designer details include deco art niches, inset ceiling and powder bath pedestal sink. 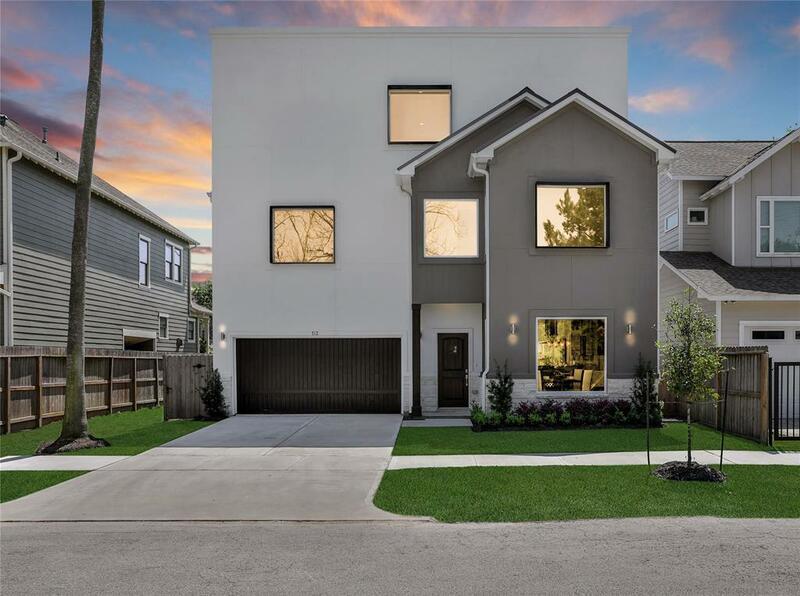 On the second floor, find all bedrooms, including an impressive master suite with hardwood flooring, fabulous master bath with Quartz countertops, modern chrome fixtures and freestanding soaking tub. 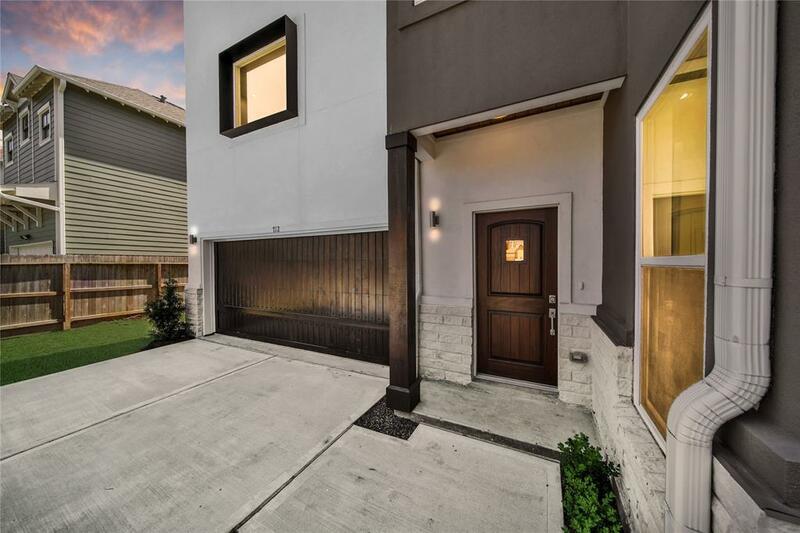 Secondary suites are spacious and well lit, with one room equipped with an en-suite bath for extra privacy. The second floor also features a conveniently located study and laundry room. The third floor is comprised of a sprawling carpeted game room or loft space. The large patio is pre-fitted for an outdoor kitchen. Truly unique and incredibly fabulous!